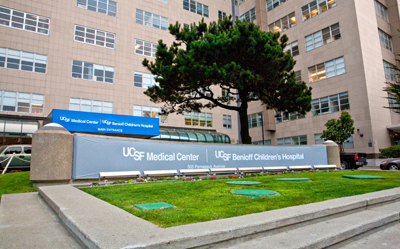 Part of the UCSF Parnassus campus complex, Benioff Children's Hospital is a teaching hospital within the UCSF School of Medicine and one of the top children's cancer research centers nationwide. Currently housed in a mid-century building, the Children's Hospital is slated to occupy its new facility on the Mission Bay campus as soon as two years from now (February 2015). Meanwhile, Benioff is located at the heart of the Parnassus Street research and clinical complex and the med school's Department of Pediatrics and Department of Hematology/Oncology. In the current climate of fiscal uncertainty at the federal level, private donations in support of the research mission of public institutions like UCSF are especially important. In addition to the ALSF award, UCSF was recently at the center of another philanthropic event. The $3M Life Sciences Breakthrough Prizes (see our blog from a few days ago) were announced at an event held at UCSF and hosted by UCSF Chancellor Susan Desmond-Hellmann last week. Of the 11 inaugural laureates of the mega-prize sponsored by a group of "tech Titans," 4 of those winners were either current or former UCSF researchers. One winner was also a Nobel Prize winner, UCSF/Gladstone stem cell pioneer Shinya Yamanaka, MD. The $3M prize may not yet be as prestigious as the Nobel, but it includes twice the prize money for future research. BCI is a full service event marketing and planning company producing on-campus, life science research tradeshows nationwide for the past 20 years. 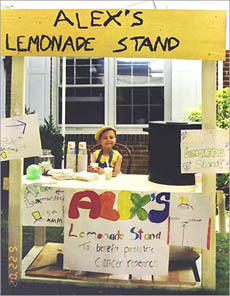 We plan and promote each event to bring the best products and services to the best research campuses across the country. Visit our website for information about upcoming shows in your area and to register to exhibit or attend.